"Deeply saddened by the passing of Walter Jones — a beloved colleague and friend," Rep. Mark Meadows (NC-11) wrote on Twitter about his fellow Republican. GREENVILLE, N.C. — Longtime North Carolina U.S. 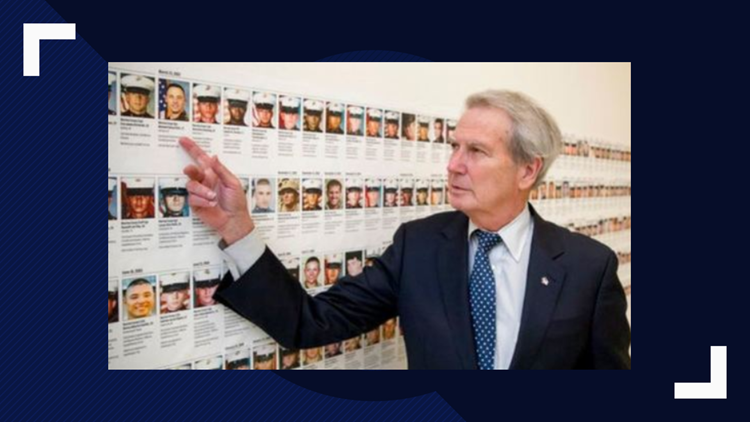 Congressman Walter B. Jones died weeks after he entered hospice for a previous hip injury. Jones, 76, died in Greenville on Sunday afternoon, a news release from his office said. Jones served North Carolina's 3rd Congressional District and was granted a leave of absence on December 11, 2018. "Congressman Walter B. Jones’ (NC-3) health has declined after sustaining a broken hip last week. He is now in hospice care. The family asks for your prayers, and for their privacy to be respected during this difficult time." WNCT obtained the Congressional Record from that day which shows Jones was granted the leave due to an illness. The Associated Press reported that Jones had surgery Jan. 15 for a broken hip suffered at his Farmville home. Jones served in the seat since 1995 and announced during the 2018 campaign that this term would be his last. He made news earlier this year when he suggested that President Trump put up some of his own money to build a border wall. Jones said the national debt was already too high.